Over the past few years, I've acquired a rather large collection of house plants and I do love to share pictures of said house plants on Instagram/my blog/anywhere I possibly can really. One of the most frequent comments I get on any plant picture I post is 'I can never keep house plants alive', which inspired me to write this previous post and brought me onto the more specific topic I'm going to talk about now...which house plant is for you? 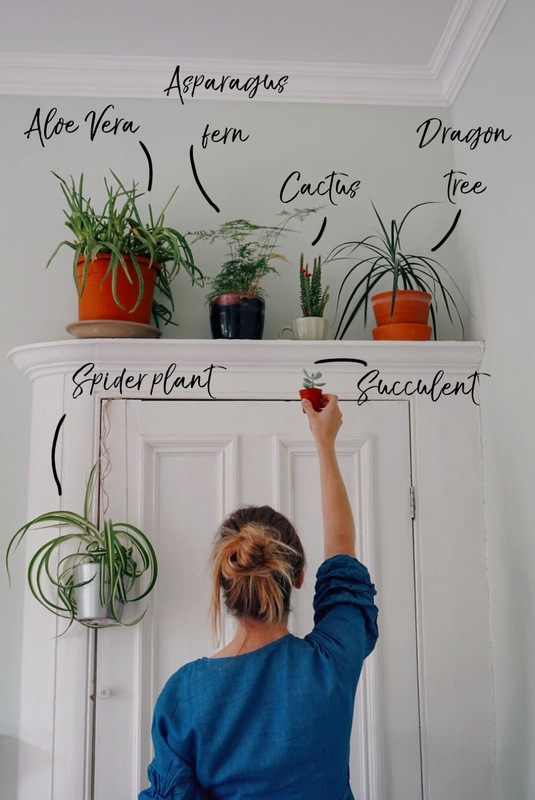 There's no point in buying a house plant that needs watering every single day if you're going to forget and there's no point in buying one that thrives on sunlight if you live in a dark flat so this post is for any budding plant ladies out there who maybe aren't quite sure where to start out in the house plant world. So you really want a house plant, but you live in a small flat and you don't want it to look cluttered? Hang one instead! You can obviously hang any plant, but trailing ones look best in my opinion so ivy is always a safe bet, but any plant with leaves that will grow downwards and hang nicely will look ace. 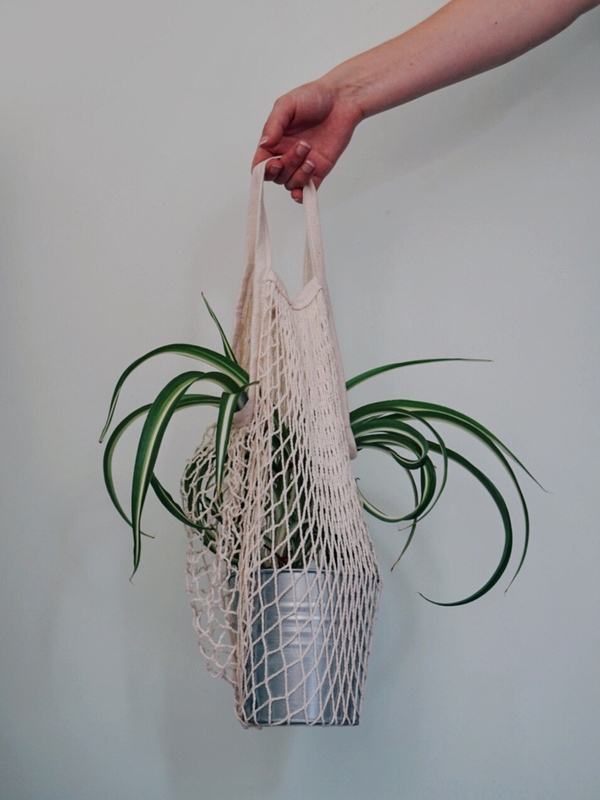 The one in the picture is a spider plant, which I think would look great in a macrame hanger, but as I currently don't have any hangers I kind of had to improvise for the picture - obviously hanging a plant with thread off the corner of your wardrobe isn't really the best idea. If you do live somewhere small, hanging one from the ceiling in a corner shouldn't impact on your space too much and will look lovely. I'm assuming the main reason for not being able to keep plants alive is that people forget to water them. It's easily done, especially when you're so used to them being there that you almost forget they are actually living things. The reason I would recommend a dragon tree for this is purely down to my own experience and not based on any knowledge whatsoever. I have three dracaenas and I also have a cat who is very fond of nibbling on their leaves then proceeding to vomit them all over the floor. This means I keep them on a high ledge that said cat can't get onto. I also can't get up to the high ledge without standing on a stool and that degree of effort means that they often go unwatered for a fair amount of time. Despite this, they've never come even close to withering and they're probably some of the quickest growing plants I own. So if you're a bit forgetful, dracaenas are your friends. Maybe you live in a basement flat or you just want to put a plant in a room that doesn't get much direct sunlight. Some plants do actually grow better in shade than in light. Generally, most ferns grow fine in the shade, but my asparagus fern is the only one that doesn't grow well in the light and actually needs to be kept in the shade for it to thrive so if you're looking for a plant that'll do well in a shady spot, this one's your gal. Beware though, you knock it with something and it sheds needles everywhere. I mean, no plant is going to grow super quickly, as I discovered to my disappointment when I decided not to shell out on a huge fern for the house because I could grow my own...yeah, how's that going Amy? However, aloe vera do grow very quickly (as you may be able to tell by the one in this picture which is huge and growing wildly out of control) and they're generally a very hardy plant. They're also easy to take cuttings from and replant so you have multiple aloe veras thriving around the house. Very technical plant lingo from me right there. What do I mean by non-leafy? I mean something that your pet isn't going to fancy a nibble on. 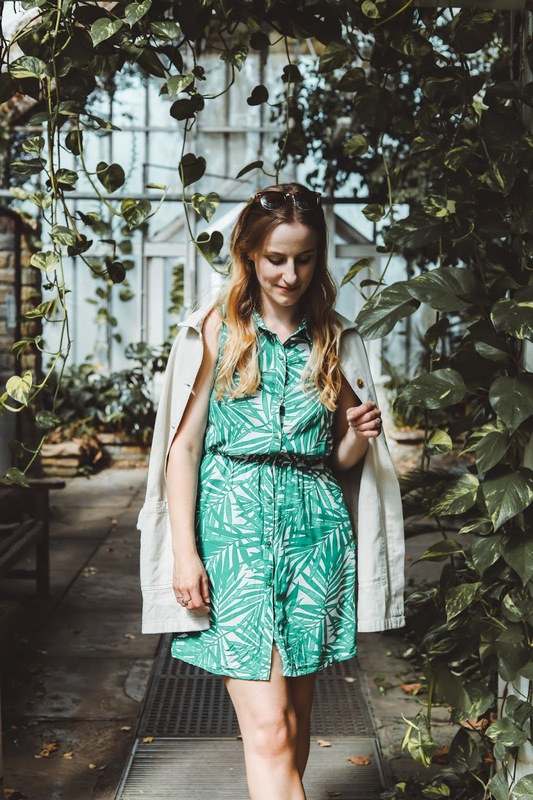 There are plenty of plants that are non-toxic to pets, but that doesn't mean they won't make them poorly and if you have a cat like mine who's partial to a bit of foliage, you want something they won't be attracted to. Leaves are just crying out to be nibbled on so you want something chunky like pachyphytum (do not ask me how to pronounce that) or pachyveria. You want a plant that you can just leave on the side and completely forget about? If that's the case I'd go fake, but if you might remember about it every now and then, go for a cactus. It's the ultimate easy plant (apart from when it comes to re-potting) as they really don't need that much water and they are extremely difficult to kill. What's your favourite plant? Let me know if you need any other recommendations! I giggled at the last line - I went through so many cacti before I had to give up. I think if I can kill a plant that can survive in the dessert fine, then I really shouldn't have a house plant, ha! I actually think any problems I've had with my stash is from over watering, so now I just actively neglect a little! I LOVE my jade plants the most, and love propogating them!